15% of all people say they would be embarrassed if their boss saw this; what is it? 15% of all people say that they would be embarrassed if their boss saw the inside of their car! 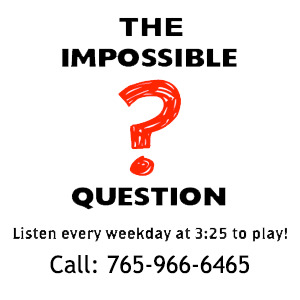 Congratulations to Shaylon Creech of Richmond for being the first to correctly answer the Impossible Question!